First of all I hope that you all had an amazing New Year’s Eve whatever you did whether you spent it watching DVD’s in your room or went out with friends. I spent the evening at my best friend’s house with her family which was lovely as her family cooked us lots of food and I got to see all of her cousins who are like my second family. 2014 has been such a good year I’ve met so many inspirational people and I’ve got to experience new things. It has also been an incredible year for my blog & youtube channel as they have both grown in ways I could never of imagined when I started them both off. – Write “The Sunday Topic” blog post each Sunday come rain or shine!! In 2015 I would like to cover more interesting topics in my “The Sunday topic” series as I have found that you guys really love to read these blog posts. I would also like to incorporate fashion more into my blog as I hardly do any OOTD (Outfit Of The Day) blog posts. As for beauty I will defiantly be doing more reviews on products that I love but also dislike as it’s a good chance for me to share my opinion on things with you. The fact that my blog is mainly lifestyle will mean that in 2015 you will be getting to know me in a little more depth I hope to do a I’m adopted video part two as you guys loved the first one which you can read/view here. If you would like to see any specific blog posts then feel free to email me or leave a comment down below I’m always open to suggestions. In terms of my YouTube channel this year I would first of all love to defiantly try and upload two video’s a week instead of one or maybe two. I would also like to add more fashion aspects such as look books however these are fairly hard to film as I need someone else with me in order to film them. I am going to be doing more make-up tutorials, get ready with me and routine style videos as you guys seem to enjoy these in particular the most. I would also like to do more collabs on my Youtube as I don’t really do as many as I do on my blog. Again these are semi-difficult to do as sometimes you need the other person to be physically with you in order to film it. I would also like to up my editing by maybe purchasing a new laptop so that I can use iMovie towards the end of 2015 (we’ll see about this). I really like iMovie as I use it on my ipad mini to edit however it has less functions than the program on a computer but it still does the job. I’m defiantly going to buy a new tripod & camera at some point so keep and eye out for that!! 2014 was such a good year for me I achieved so much like getting a job which I have now been at for over 5 months (crazy huh?). I’ve also met some amazing people who are so inspirational they have made me want to do so much more with my life. In 2015 I would love to build upon the person that I have become last year I think I found who I am for now as each year we change a little bit. I am really comfortable in myself at the moment in regards to the person that I am and the way I look. I would also like to eat healthier now when I mean healthier I don’t mean dieting & juices. I simply mean eating more home cooked food instead of processed food. I love to eat well during the week and then have like a cheat weekend but in proportion. I would also love to bake more as I really like it however I’m not crazy about it haha. 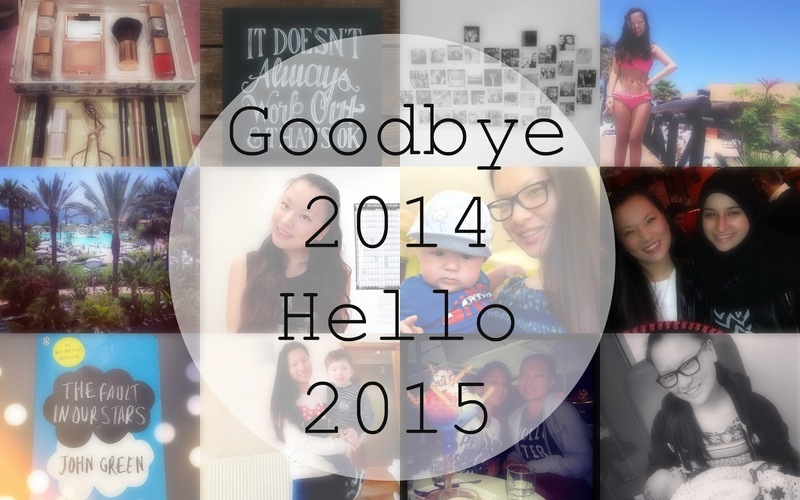 "An Overview of Asia Jade in 2014 ♥"